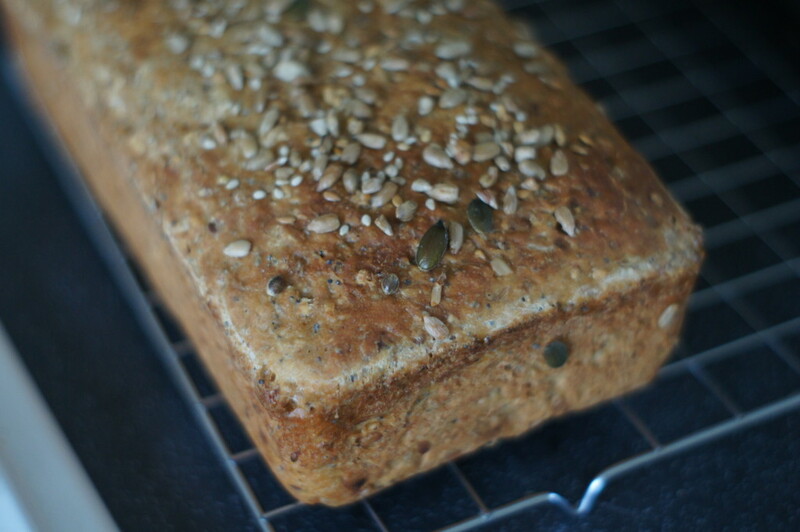 After my bread making success last weekend I decided to give bread another go. I’d seen this recipe on the BBC Good Food website and decided as I still had some wholegrain flour that needed using up I would give it a go. I slightly adapted the recipe by choosing to prove it overnight in the fridge rather than the 1 hour at room temperature as suggested. 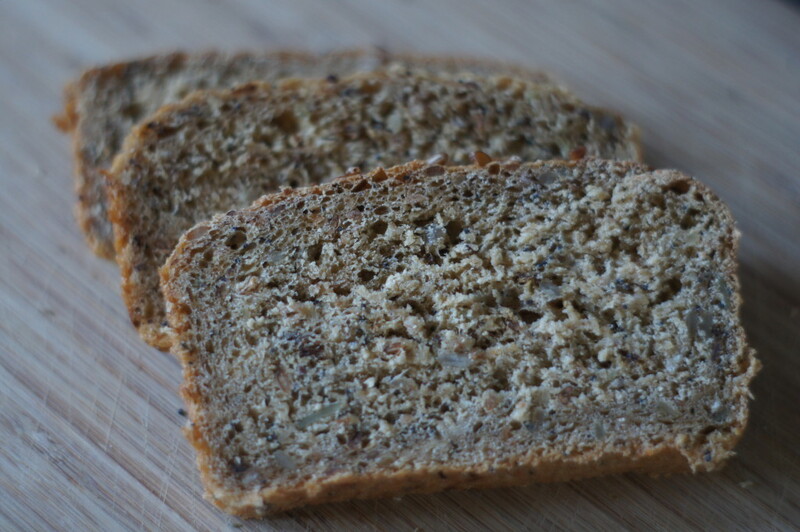 I have to say I was little disappointed as although my bread did rise quite a bit the end result was a little flat and the bread had quite a heavy texture – it does still taste nice though. I think this may be down to my loaf tin which is quite wide and flat so a new loaf tin is on my shopping list for the weekend! 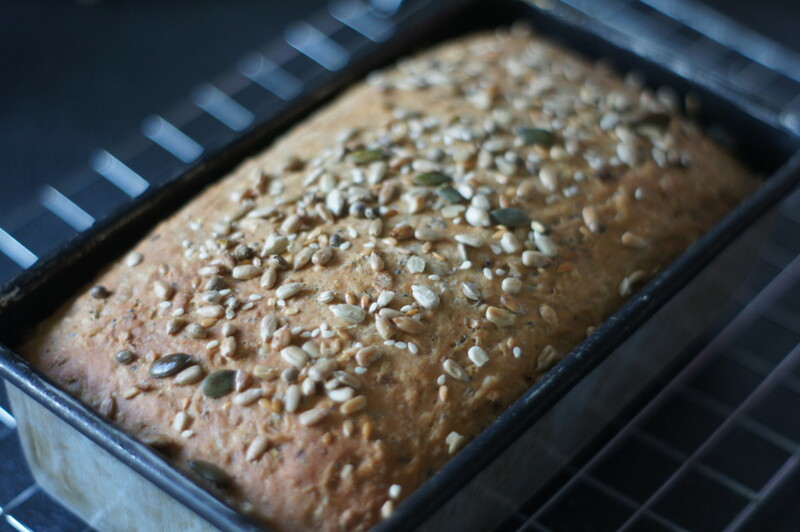 I also struggled to get the seeds added as decoration at the end to stay on and most of the them have popped off when I have cut the bread – this is also a problem I found when I made my cottage loaf last weekend. You will need a 1.2 litre loaf tin. 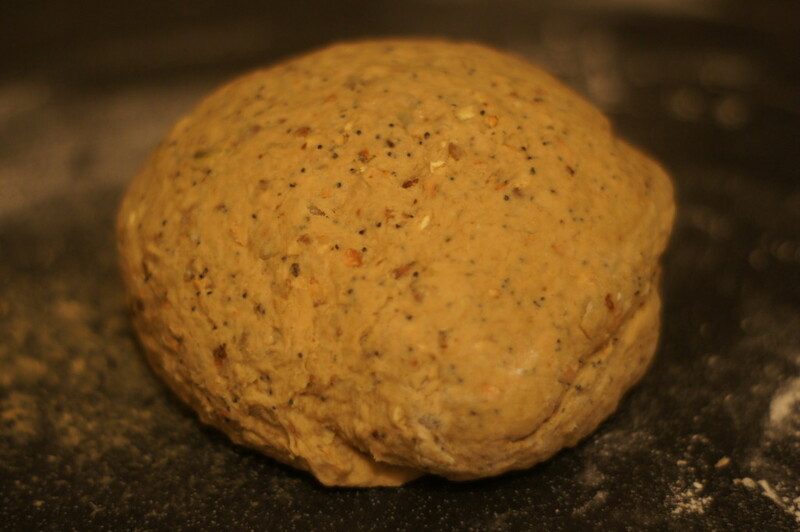 1) Tip the flour, seeds, yeast and salt into a large bowl. Mix the water, oil and honey in a jug, then pour into the dry mix, stirring all the time to make a soft dough. If it feels sticky, sprinkle in a little more flour. 2) Turn the dough out onto a lightly floured surface and knead for 5 mins, until the dough no longer feels sticky, sprinkling with a little more flour as you need it (I found my mixture was very sticky and needed quite a bit more extra flour). 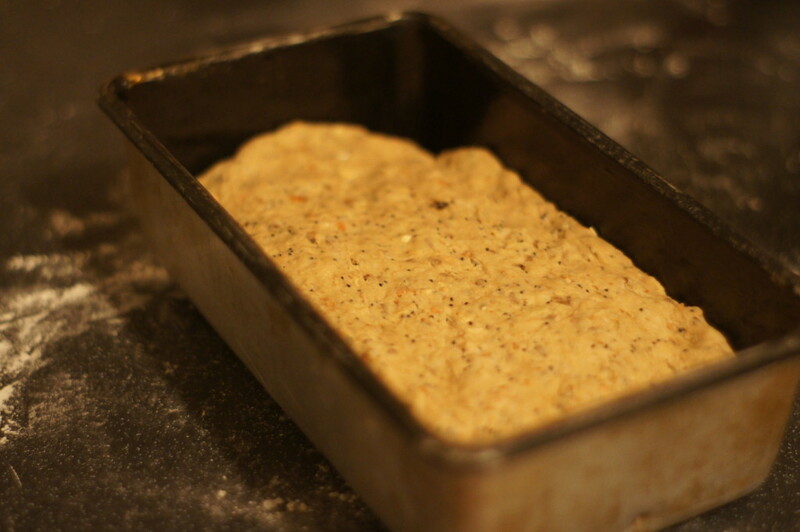 3) Oil a 1.2-litre loaf tin and put the dough in the tin, pressing it in evenly. Cover with a tea towel and leave to rise for 1 hr, until it springs back when you press it with your finger. Heat oven to 200C/fan 180C/gas 6. 4) Make eight slashes across the top of the loaf (I forgot to do this! 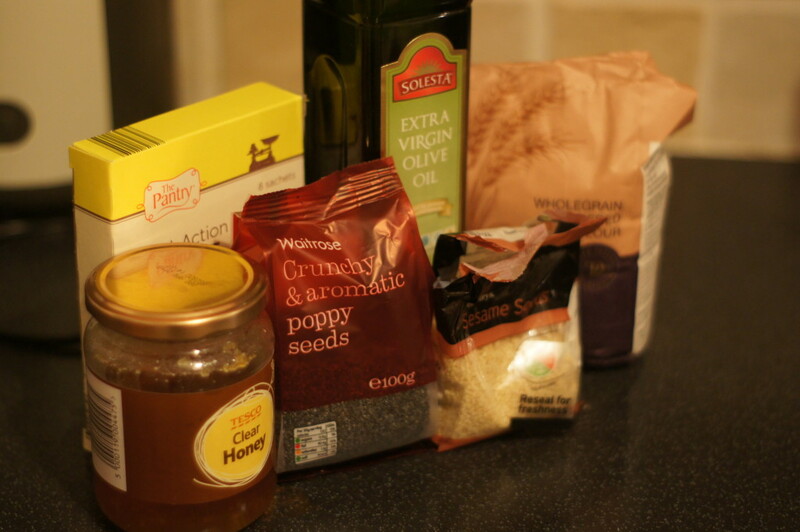 ), brush with water and sprinkle alternately with poppy and sesame seeds. Bake for 30-35 mins until the loaf is risen and brown. 5) Tip it out onto a cooling rack and leave to cool.